Many attempts by Latin artists were made to cover American Disco tracks pretty much from the inception of the genre. Charanga 76 were probably the most successful of the lot. I would stop short of saying that their covers were better than the original versions, but when you are up against an artist as influential and important as Chic, you better do a damn good interpretation. I would venture to say that Charanga pulled it off quite nicely. The slowed down, laid back groove and the dubbed out production sit very nicely with this cut. 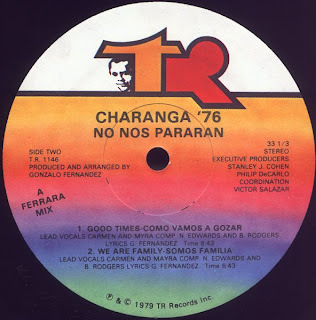 "Good Times - Comos Vamos A Gozar" was the first single from their 1979 LP No Nos Pararan. The album also included Charanga's fantastic cover of Mcfadden and Whiteheads "Ain't No Stopping us Now" which was featured on Dimitri from Paris's Disco Forever compilation released on BBE Records in 2000. 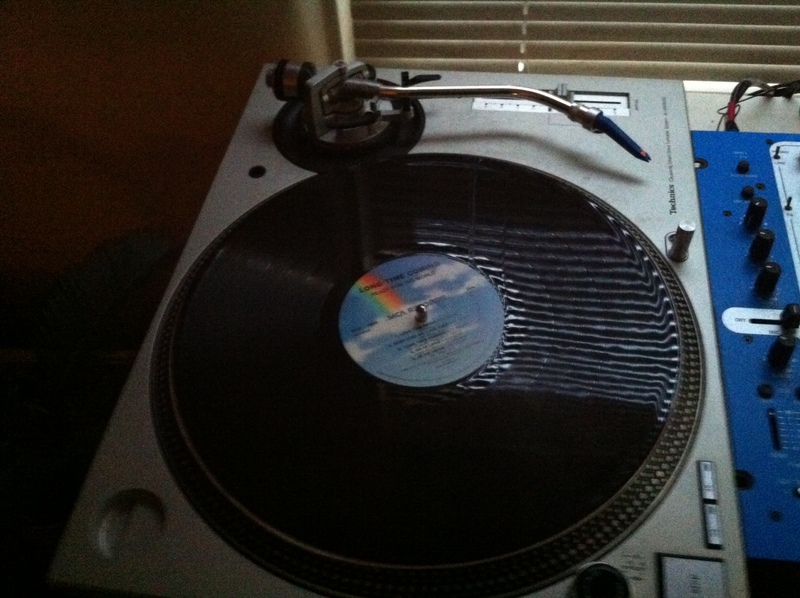 This is a record, but also a mix, its a mix on a record. 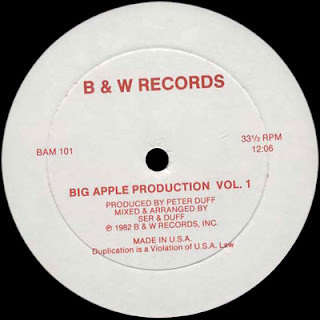 Big Apple Productions #1 came out in 1982 and was a bootleg, tightly edited mix of the current dance smashed of the time. It is consistently cited by DJ's of the era as being influential is inspiring a progression in their mixing style, I think its fun, although too fast paced for my liking to be used as a DJ tool albeit for the run of hi nrg breaks toward the end. Although uncredited the mix was actually put together by 80's New York scene DJ Mikey D'Merola, one of the few DJ's of the time who still actively spins modern and older dance cuts to this day (I havent heard any of his current mixes but I would very much like to if you have any). Now here is a contest for you, who can spot every one of the tracks played in this mix? Anyone who posts a complete listing will get a special Beat Electric prize. I'll draw the url of the blog onto an american apparel size small ringer t-shirt using a crayon or something, or give up my last and only bottle of LeBaron's limited edition vinyl cleaning solution. As an added bonus track I'm also putting up the instrumental version of Mr Flagio's Take A Chance, because nobody else has and I'm nice like that. 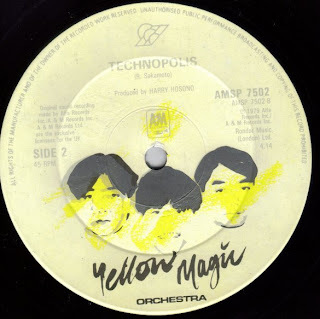 Yellow Magic Orchestra was a Japanese electro band that got together in 1978. They are acknowledged as being forerunners in the synthpop, technopop and electropop genres. This track is from 1979 and it was way ahead of it's time. 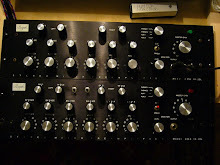 If you lust after giant Moog modular synths, check out this video. Come On And Do It, Do It! I had been wanting this record for a long time, it is some of the finest work by Patrick Adams. Not the LP pictured, but the 12". There it was sitting without a sleeve, getting pretty scratched up in a pile of heat that I picked up at a flea market in San Francisco. 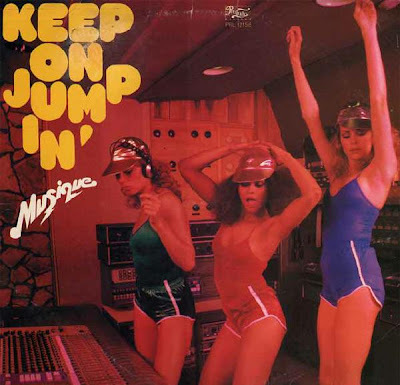 I had just bought the Keep On Jumpin' LP on ebay a couple of days before, and was happy to have a great 12" by Musique for 50 cents; even though it doesn't have the artwork. In the Bush, from a Disco Heat compilation was played at my wedding by one of my friends, so the song holds a lot of sentimental value for my wife and the guests. I was really excited to hear the B side, Keep On Jumpin' because it is a track that is on the amazing free download record Juiced by The Cansecos. Enjoy! This is the one and only release by Kym. 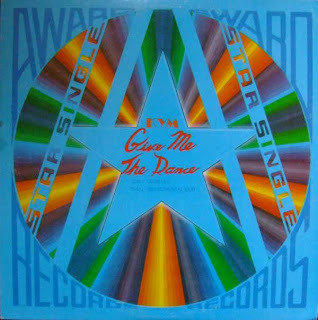 "Give Me The Dance" came out on Award Records in 1983. There isn't much information about Kym as an artist, but if you are only going to release one track this is the way to do it. Alvin Cash was a soul singer and dancer that hailed from St. Louis, Missouri. Shortly after moving to Chicago in search of a record deal, former Motown producer Andrew Williams discovered Cash and helped him record his 1963 debut hit R & B Single "Twine Time". Cash went on to have a few more minor hits and supporting roles in several 70's blaxploitation films including Petey Wheatstraw and Black Jack. Released as a 7 inch single in 1982 on St. Louis based private label, Gateway Records "Cash Dollars" is a raw soul number with a throwback funky vibe filtered through the more modern prism of early 80's boogie groove. Remaining on the fringes of popularity, Cash continued to make music and performed in the Chicago area regularly until his death from an ulcer in 1999. Take It, It's All Yours! 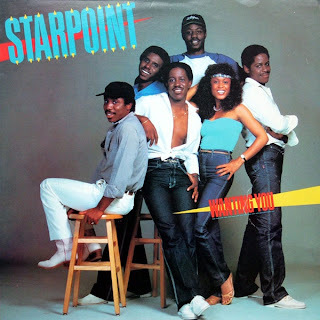 Starpoint was one of the greatest lazer soul bands to grace the 80's with their jams. They were originally called Licyndiana, which is not pronounceable because it is a acronym of the band members' names. They have a similar sound to that of Aurra and hail from Maryland. With the late Renee Diggs' amazing voice and Ernesto and George Phillips' thick pipes, their songs are filled with emotion. Kayode Adeyemo and Ernesto Philips co-wrote much of the songs. The funky synth work and disco guitar are standard fare. They put out records from 1980 till 1990. Kayode went on to write Milli Vanilli's hit, Girl You Know It's True. I recently found Kayode online and he says, "This is the song that got it all started back in 1980!" 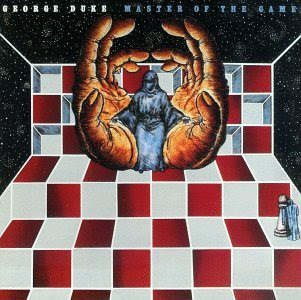 George Duke wore many hats during his long, diverse career and this was his easily his best. Featuring a fantastic lead vocal by Lynn Davis, "I Want You For Myself" is a flawless disco tune composed and produced by a musician more well regarded for his jazz/fusion work. 'Nuff Said. Aaah the things we do for pure disco pleasure. I had to run my precious Grado stylus over this record two times to dig out the groove before I could get a good recording of this fine and rare record. 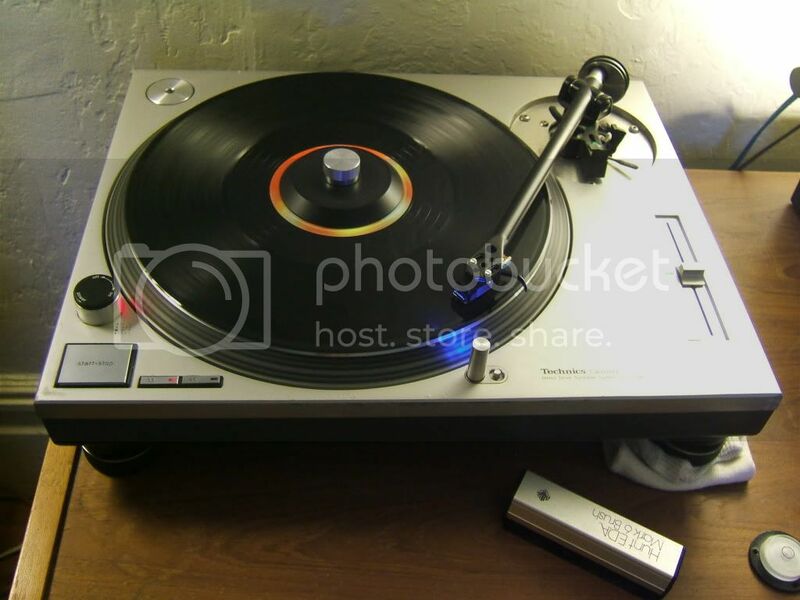 Beat Electric plans on building a pair of record washers in the near future; I have just the decks to make it happen and I have just the right record cleaner to do it. For more details on how to buy our highly specified high grade record cleaner, email us. Ok, this is a Disconet mix of Madmen's Discotheque by The Chaplin Band by Casey Jones. Disconet records are prized possessions by record collectors and DJs because they feature unique extended mixes and edits by the top DJs from back in the day. DJs like Bobby Guttardo and Tom Savarese were regular remixers. Disconet was a record pool and their releases were not available to the public. 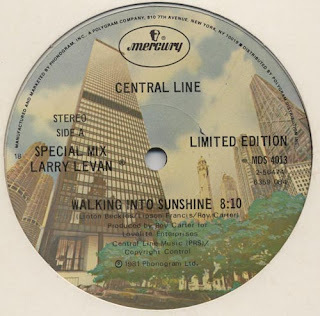 "Walking Into Sunshine" by Central Line is by far their biggest hit. This mix done by Larry Levan has reserved use of synths, perfectly catchy vocals and a lackadaisical beat all of which create a super balanced mix. Not rare, hard to find or even expensive, just a nice solid anti-nine to five tune. 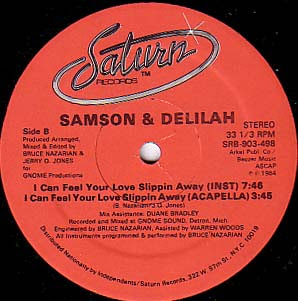 'I Can Feel Your Love Slipping Away' has a long title and a lovely vocal line, but for some reason the instrumental version is far more sublime, with hints of the vocal chorus used sparingly throughout on top of the hook heavey and unique synthlines. 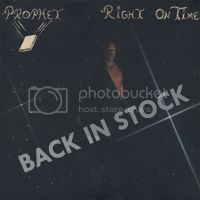 Recorded in 1984, there is not much to tell you about the artists other than that they were probably a collective of Detroit area session musicians, brought together as a side project by Michigan area producer and gun for hire Bruce Nazarian (his 80's Detroit disco credits include Was Not Was), who is no doubt responsible for the great synth work. Bruce still works today, writing popular books on DVD production techniques. Daniel Wang sampled the track to great effect in his 1995 classic 'Not Feeling It', and Black Shag puts it in his all time boogie top 10, so it must be ace.. I don't think I have heard a disco record with a more pronounced four on the floor. The mix is virtually buried under the stomp of the bass drum. This club classic from 1979 by Colleen Heather means business and is a good example of a record that was made for a dance club and would not work on the radio. I wonder what this would have sounded like on an RLA system back in the day. I recently got a DBX boombox, and have seen this record shake the house first hand. Colleen is backed by The Rubber Rock Band and the track was mixed by Walter Gibbons on West End Records. Walter Gibbons was the first DJ to sit at a mixing desk when he lent his ear and mixed Ten Percent by Double Exposure in 1976 on Salsoul records as the first 12" single to ever be sold. Sea Level was formed by Allman Brothers band members Lamar Williams, Jaimoe, and Chuck Leavell in 1976. After the release of the first album, Cats on the Coast, the band added musicians Davis Causey, George Weaver and Randall Bramblett. 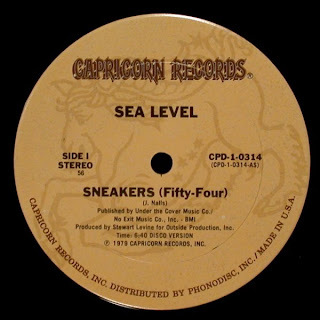 In 1979 they released this 12" on Capricorn, "Sneakers (Fifty-Four)", a smooth, jazzy, midtempo track with excellent guitar, sax and piano playing.